Teterinskoe lesookhotnichye economy (now SFC «Teterinskoe») was established on the basis Kruchenkova and Shepelevich Belynichi forestry and small forestry enterprise «Teterino» in 1997, pursuant to the order of the President of the Republic of Belarus of 12 June 1997, No. 169 RP «On the establishment of hunting farms» and on the basis of the order № 36 dated 23.06.1997 year of Administration of the President of the Republic of Belarus. In accordance with the order No. 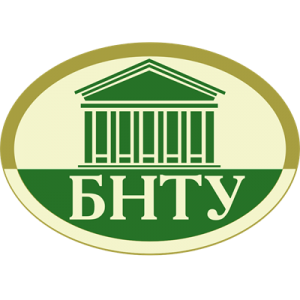 67 of 15.03.2001 Of the office of the President of the Republic of Belarus, teterinsky forestry was renamed The state forestry. Glhu «Teterinskoe» is located in the North-Western part of Mogilev region and is located on the territory of kruglyansky administrative district in the village of Shepelevichi. The main activities of the institution: hunting tourism, logging, wood processing. Ploading SFE «Teterinskoe» is 18,932 thousand hectares and is divided into two forest areas: Shepelevichi and Kruczenski. The main purpose of forest management is to organize a multi-purpose, science-based, continuous and rational use of the forest to address the specific challenges facing the institution, as well as to meet the needs of the economy in wood, other forest products and natural beneficial properties of the forest under the mandatory condition of preservation and strengthening of environmental, water protection, protective, sanitary, health functions of the forest.